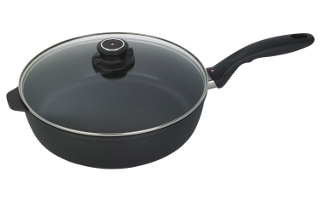 Swiss Diamond nonstick cookware is some of the best nonstick cookware in the world. 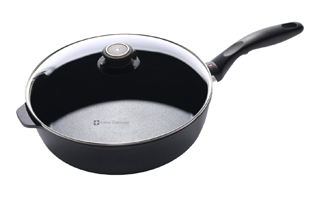 It features a cooking surface that's PFOA-free and reinforced with diamond crystals so it's long lasting. 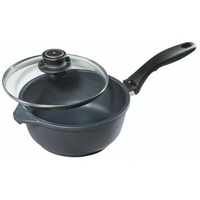 It also has comfortable ergonomic handles so let you easily move each pan while you're cooking. 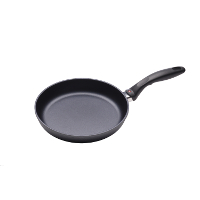 The nonstick surface is dishwasher-safe and durable enough to withstand metal utensils without causing any peeling or scratching! 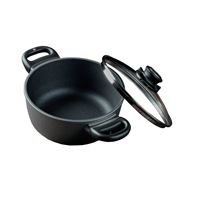 Each pan includes a lifetime warranty, so you can enjoy your Swiss Diamond pots and pans for years to come. 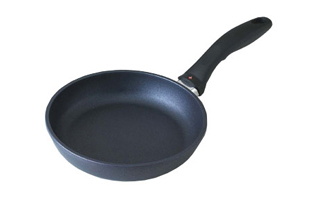 Every kitchen needs at least one non-stick fry pan and the Swiss Diamond is an ideal choice in a variety of sizes. 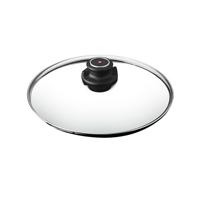 Each of these sauce pans comes with a vented metal rimmed heat tempered glass cover and are available in 3 different sizes. 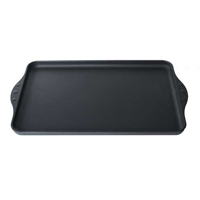 Both 11 inch nonstick grill pans are available in deep and shallow designs, offering you healthy and grilled styled cooking indoors. 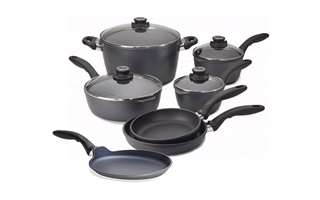 These nonstick cookware sets offer all the essential pieces at great value in 3 and 10-piece configurations. 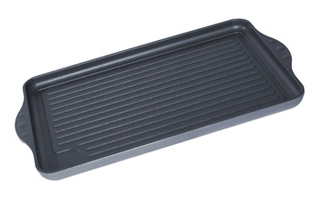 These casserole dishes are versatile pans that can go from the stove top, to the oven, to the table top. 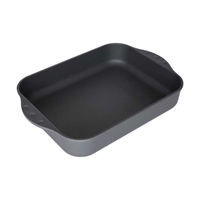 These roasters are available in 2 sizes and shapes, with and without lids. 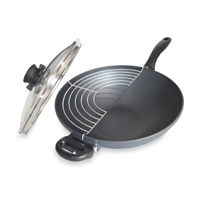 Featuring 3 different woks perfect for stir fry and Asian-styled cooking. 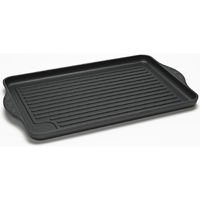 These nonstick griddle pans are constructed with extra thick commercial cast aluminum perfect for almost any cook top. 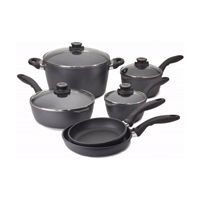 Choose from a variety of sizes of glass lids made specifically for Swiss Diamond cookware.